The CBBC has announced the return of Danger Mouse with 52 episodes, each running at 11 minutes. 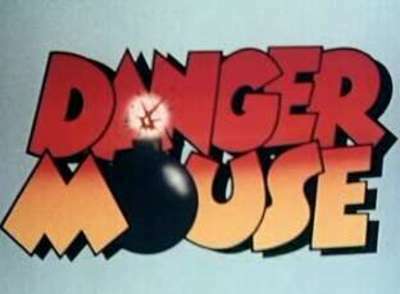 Danger Mouse, a secret agent cartoon, ran from 1981 until 1992. For many who grew up in the UK, this will be wonderfully nostalgic. What do you think? Will you be happy to see Danger Mouse back on the air? Yes! Very excited! I wonder if the ABC will pick it up. I loved that show as a kid and I bet my kids will too. Haha, you beat me to it. I was just about to write this question. Danger Mouse is actually one of the few cartoons that I never bothered to watch, so I can't same I am either excited or unexcited about it. The one thing that stood out for me about it - from the bits I have seen - is that David Jason did the voice. If he was not to do it this time, it would be a shame. I think it is great that old cartoons are being introduced to a new generation though. What it is like will depend on whether they stick to the original animation style (which I applaud) or change it to a different look (which I detest). Personally, I hope they stick with the old animation style too. I don't mind franchises being reinvented but short cartoons like this are not really franchises per se. Although I've never seen Danger Mouse either, I was excited to hear that a short cartoon was making a comeback. We used to see some Canadian short cartoon when I was growing up and I would love to see them redone but still in their classic style. I would be appalled to see them modernized. That's the problem with remaking new cartoons. I'm glad to see them come back, but am always disheartened if the animation style and storytelling changes.